San Miguel, Bulacan is a very historic town. The town proper is an outstanding assemblage of colonial-period houses. 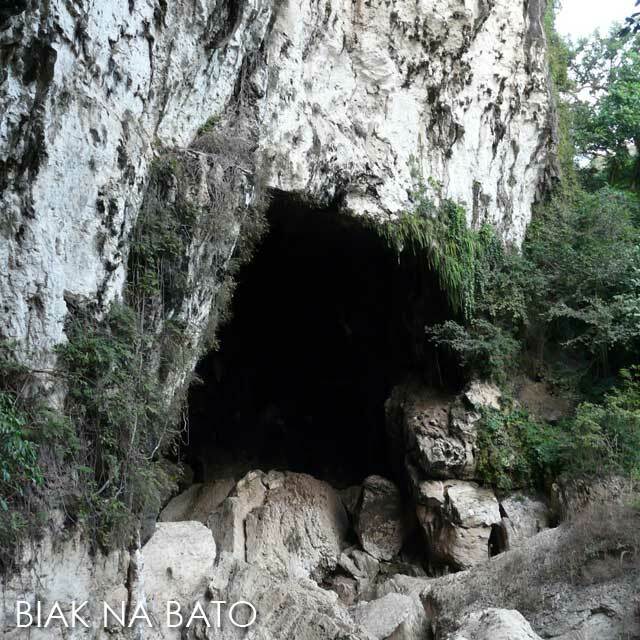 While the caves of Biak-na-Bato were witness to the birth of the Philippine nation. We got to visit San Miguel, Bulacan recently as part of Lakbay Norte of the North Philippines Visitors Bureau. 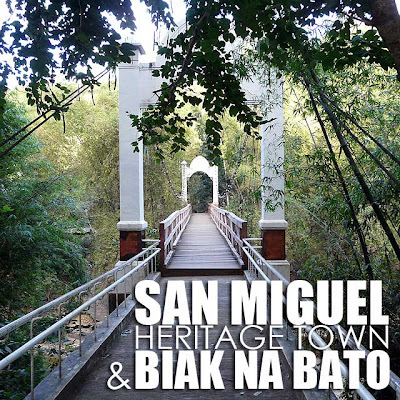 First stop was the San Miguel Heritage Town. 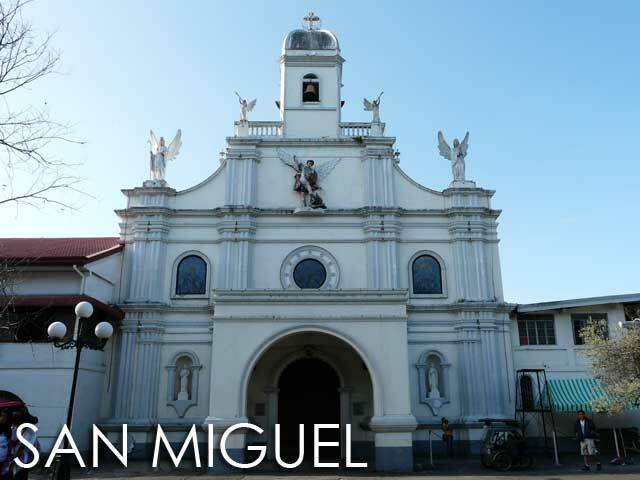 We were able to stop by the historic San Miguel Church, where some of our nation's heroes are buried including Maximo Viola, a friend of Dr. Jose Rizal who helped finance the publication of Noli Me Tangere. 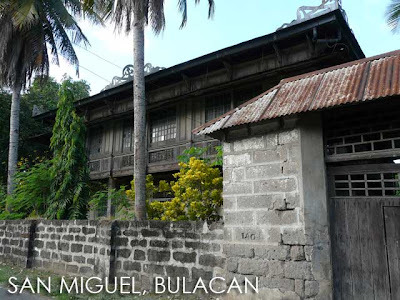 Unfortunately, we didn't have time to explore the ancestral houses. But we made one round around town. 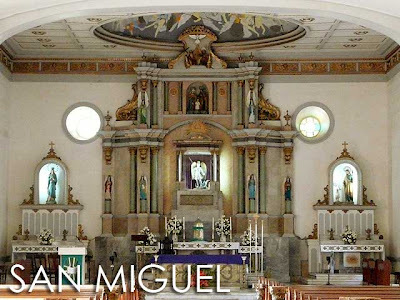 I got to explore San Miguel when I was still a college student. And obviously, much has changed. It alarms me that the historical fabric of the town is starting to change as well. 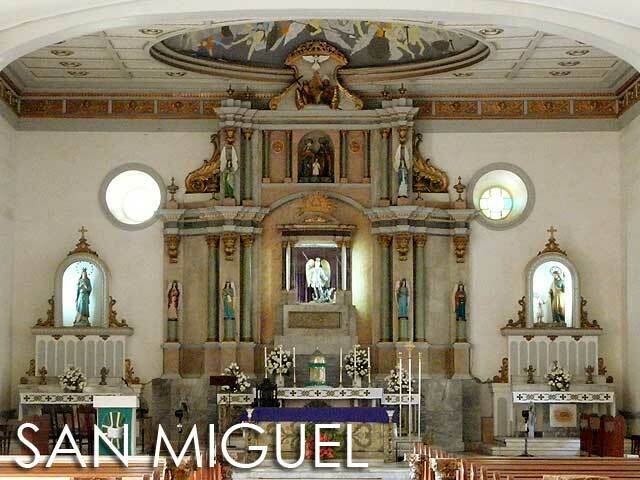 And safeguards need to be put in place if we are to conserve the historic core of San Miguel. 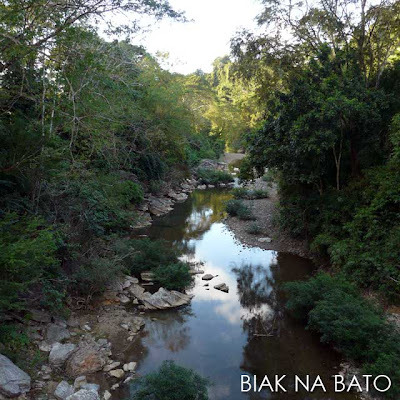 A few kilometers from the town proper is the Biak-na-Bato National Park, the mountain hideout of the Philippine Revolutionary Forces and birthplace of the Republika ng Biak-na-Bato in 1897. 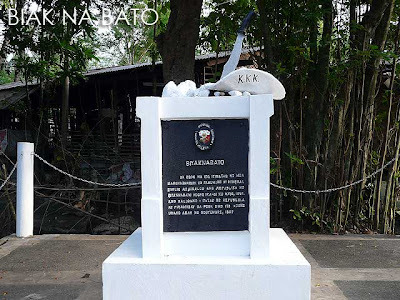 It is said to be the first Philippine republic with its own constitution. But it was short-lived and lasted only a month. 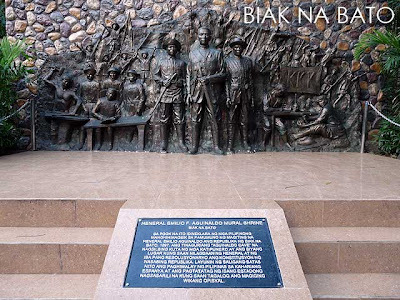 In 1937, President Manuel L. Quezon declared 2,117 hectares in the Biak-na-Bato area as a national park to honor the First Philippine Republic. It's actually a refreshing place with a comfortable cover of green, several streams and waterfalls, and a system of caves which served as hideouts for our revolutionary forces. 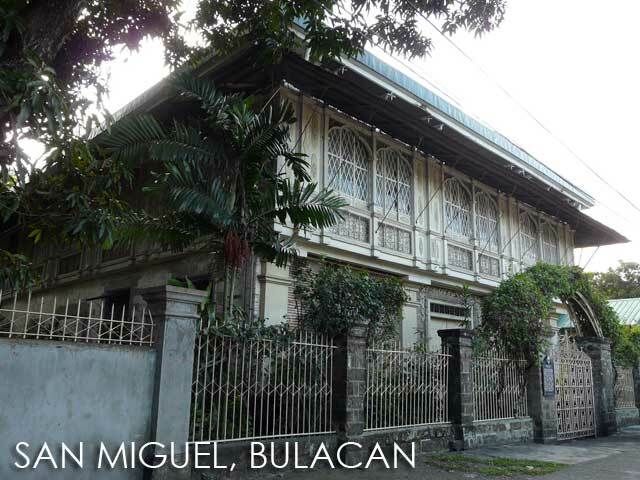 A visit to San Miguel, Bulacan is definitely an appointment with Philippine history. 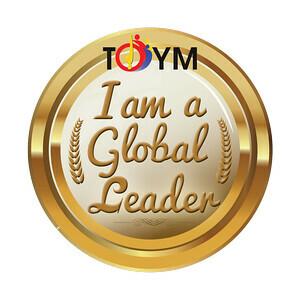 It is an attractive site - young, vivacious but thoughtful. The text is supported by great pictures. Scenes of Philippines. I will surely come back to read more! Mabuhay Pinas! I always marvel at the Philippine ancestral house. I can just imagine the lifestyle that used to go with it. 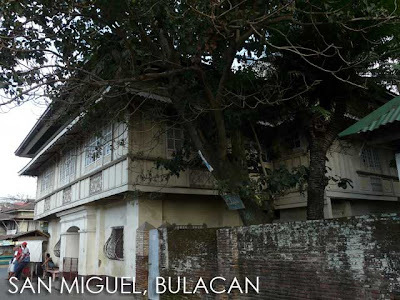 I hope they are preserved for the future generations to see the indigenous Filipino architecture in the olden days. We will travel to San Miguel, Bulacan this afternoon. Thank you for the inspiring post, Ivan.